Home › Kmashi 10000Mah External Battery Power Bank Portable Charger Backup Pack With..
Kmashi 10000Mah External Battery Power Bank Portable Charger Backup Pack With..
Super-fast charge output (5V / 3.1A total) through dual USB ports (5V / 2.1A and 5V / 1A) allow for simultaneous charging of your iPad, iPhone, Android, and more at high speed.Input: 5V/ 2A.About 6.5 hours fast charging. Enough power to go around. 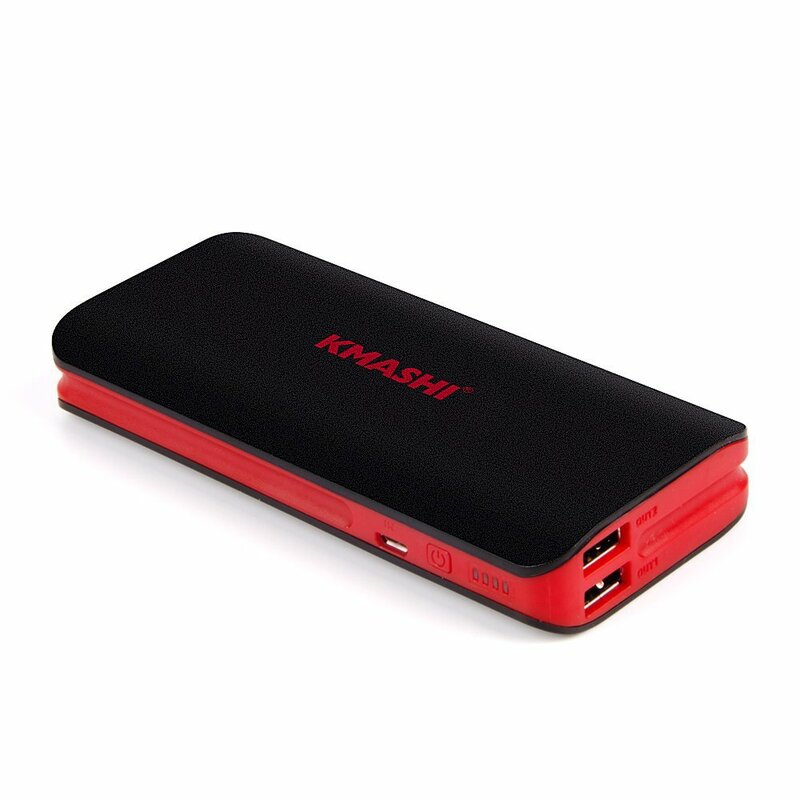 Marooned in transit forget your OEM adapter?With the Kmashi MP816, prolong your battery lifetime wherever you are. Holding enough power to charge most smartphones, keep your gadgets going for days and still have juice left to share. Strong but never slow. In addition to capacity, the Kmashi MP816 sports high-speed simultaneous ports.So whether you're charging an Apple or Android device, you'll get the most out of your technology. Designed around the details. Size: 5.47x12.52x0.86 inch.Weight: 344g.Just because the MP816 packs a punch, doesn't mean it can't look nice.We went with a smooth finish to keep you traveling in style.Simple,unobtrusive features, such as one-touch status LEDs, give you everything you need out of a battery without sacrificing aesthetics. 2.1Amp+1Amp Output,2Amp Input Fast Charging For optimal use. Compatible with all Apple and Android smartphones, tablets and other USB charged devices with a 5V charge input(iPhone/Samsung Galaxy S5 Note 3 cable not included).